﻿ Six Senses Yao Noi, Phuket | FROM $487 - SAVE ON AGODA! 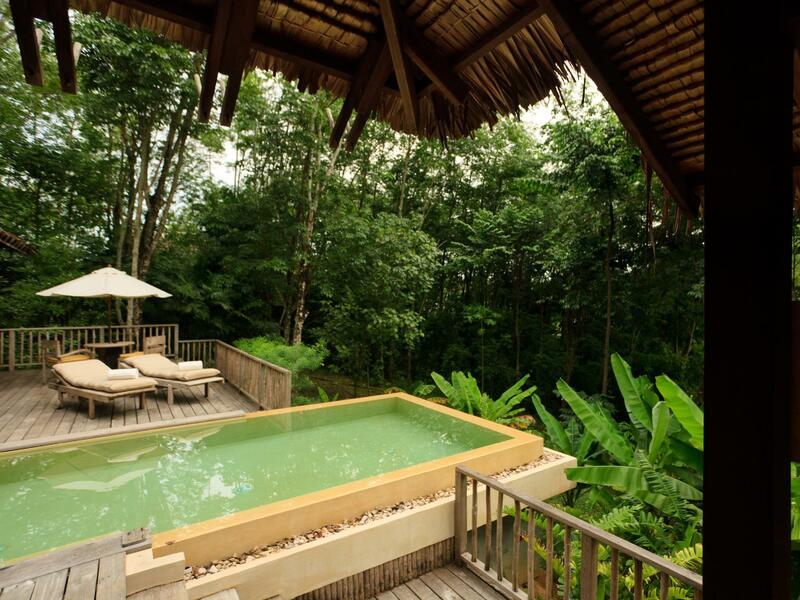 "From the moment we were picked up at the Phuket Airport and..."
Have a question for Six Senses Yao Noi? "Staffs are really very nice here!" "We have the perfect wonderful experience here." "An amazing place have never been anywhere as good"
"Six Senses Yao Noi is tucked away beautifully on the cliffs..."
Vacation in style and comfort at the luxurious the Six Senses Yao Noi. This property has air conditioning, a fan, an alarm clock, and free bottled water, as well as a refrigerator, a hair dryer, satellite or cable channels, bathrobes, and more. It has numerous convenient features, such as safety deposit boxes, a currency exchange, an infirmary, and shops. 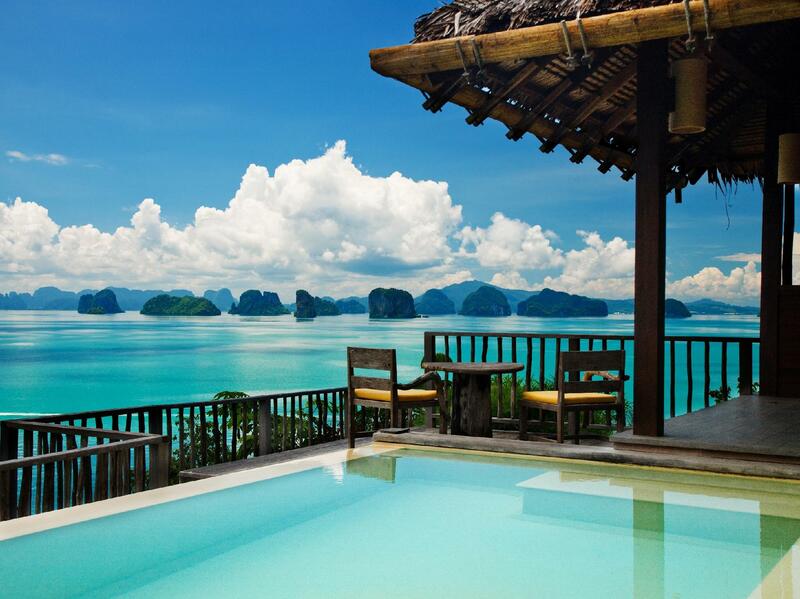 The Six Senses Yao Noi has sea, ocean, and garden views available, which means that you are bound to be looking out at memorable scenery. Located at a great spot for diving, the Six Senses Yao Noi is great for guests that wish to spend some time exploring the aquatic life in the area. This property offers access to canoeing, so you can go for a row and enjoy the beautiful scenery. It offers snorkeling, so guests can spend some time exploring the aquatic life in the area. From dry cleaning services to daily housekeeping, it has a range of useful services for guests. The Six Senses Yao Noi has an assortment of transportation options which include airport transfers, bicycle rentals, and shuttle services. It has a bar, restaurants on the property, BBQ facilities, and room service, so there is a range of dining and snacking choices. English, German, Thai, French, and Hindi are spoken at this accommodation. 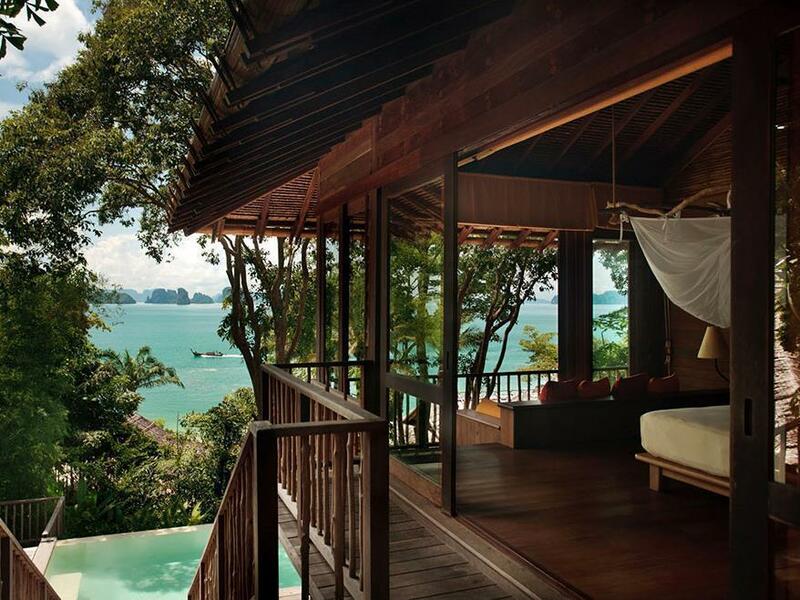 The Six Senses Yao Noi offers check-in from 02:00 PM and check-out until 12:00 PM. With pet-friendly facilities, this property is perfect for travelers who can't bear to be away from their pets. There's free Wi-Fi available in all rooms, as well as Wi-Fi in common areas, so you can save money by not having to buy a local sim card. This property features express, private, and 24-hour check in and check out, so you can use the option that best suits you. It has a front desk that's open at all hours, so there is always someone around to answer any questions that you have. It offers family rooms, so you can relax and hang out with your whole family. The Six Senses Yao Noi has a kids club, offering traveling parents a fun-filled and secure childcare resource. The nearest airports are Phuket International Airport (HKT) and Krabi International Airport (KBV), which are located 35.1 km and 39.1 km away. "This is one of the world's best hotel you must visit." The property provides transfer service from Phuket International Airport to the property. This transfer is by land and water. Guests will be met upon arrival at the airport and will be transferred to the Ao Por Grand Marina by private vehicle in approximately 20 minutes and then by speedboat to the resort in approximately 45 minutes. Kindly contact the property directly for the cost of transportation. at the begining in tought it was a little bit expensive but after i got there i definetly stayed for more nights. The best place, the best service, jojo our gem was completely spectacular. Thank you!!! 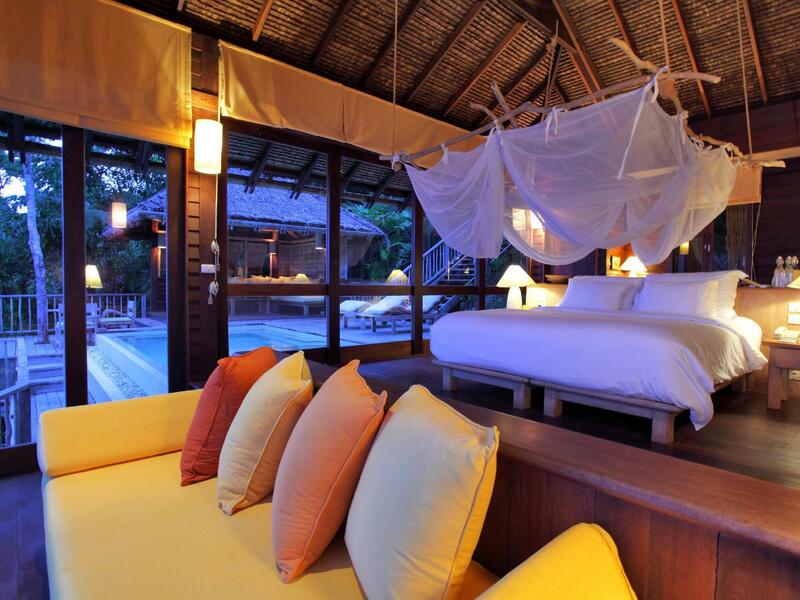 We always love our stay at Six Senses and we definitely love our stay at Six Senses Yao Noi. The service, room, transport, food, breakfast, spa was perfect. The only downside was my husband lost his flip flop at the Hilltop. His flipflop got mixed up with the other guest. And the staff could not do anything to find his flipflop and he has to go back to out room with naked feet. We didn't get back his flipflop until we checked out. The resort did not take any responsibility for this matter until the end. Best place for relaxing with a breathtaking view in front of the villa. Good breakfast buffet line and limitless homemade ice-cream. Lovely staff provide superb services. And this is where you can find nature hornbills. This is one of the world's best hotel you must visit. Everything is connected and run smoothly. Thanks for kindly personnel staff at the hotel, great complimentary sport activities at the sea and exercise activities (Tai Chi/Yoga) in the morning and unforgettable trial massage at the guest gathering. This is the heaven hotel of Thailand. We have the perfect wonderful experience here. Views are magnificent. We couldn't find a better place that is comparable at Phuket. The dinner there is kindly of art. You must try this place. Staffs are really very nice here! PERFECT!!! Without question paradise personified. I have visited over 65 countries and however you measure this resort, it is in the top three for everything. I defy anyone to find fault. Our villa (54) allowed for spectacular views and the private pool, scala, bathtubs, outdoor showers all allow you to be at one with nature. Whilst rustic, all mod cons catered for. Genuinely sincere staff, attentive to most minute of detail! Bakery, deli, etc a fabulous ideas however the views in numerous chill out zones just allow for relaxation like never experienced before. We cannot speak highly enough and will certainly return! Thank you to all the staff for making this experience so profound and enjoyable !!! Fantastic scenery, professional and very friendly staff. Outstanding and excellent service with wonderful views, beautiful walks and points of interest. The quality and presentation of the food is absolutely excellent. The hilltop view is just mesmerising and the resort is quiet and extraordinary peaceful even when fully occupied. A lot of activities to choose from and in-room service is brilliant. Wonderful place to wind down and relax. A lot of care has gone into making the guest experience memorable, and although expensive, it is well-worth the money. It exceeds the five-star experience of the 'normal' hotel type and I will definitely look up the other hotels run by Six Senses. the service is much over than expectation. hotel also really care on the environmental to preserve all area as it is. the villa is adapt with forest instead of changing surrounding. you will find real deep relax when stay here. i went with my wife and we are really happy to go back again for any next chance. This is truely one of the finest hotels anywhere on earth. From the moment the BMW picks you up and takes you to your personal butler, the treatment is nothing short of spectacular. This was truly one of the best experiences I have ever had at a hotel. This resort is something that should not be missed. Once in your life you should pamper yourself with this level of accomodation. The three villa suite at the top of the mountain would be an out-of-this-world treat for three couples who want the best. We went to Six Senses Yao Noi as a Honeymoon. even thouh the price was so high, but after saw a picture of panyaman from the resort, I couldn't satisfy with the other hotels in Puket. 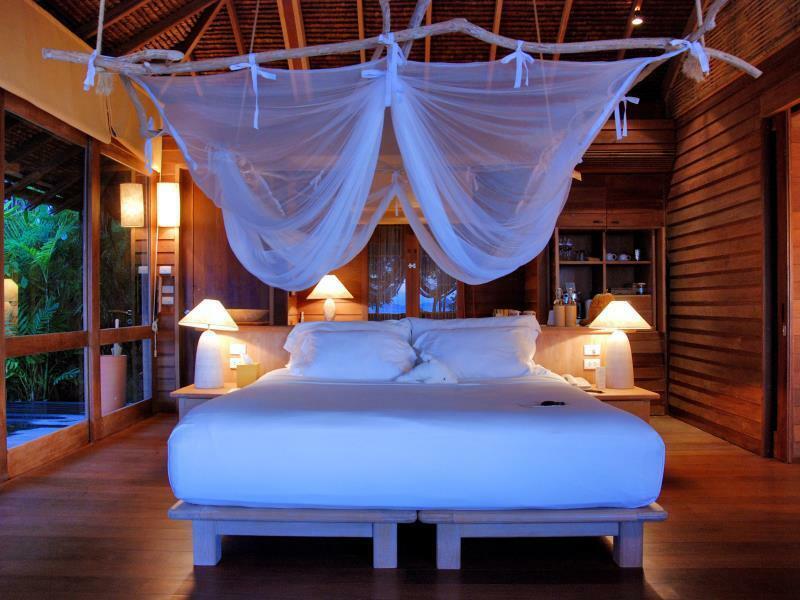 We stayed in the Six Sences Yao Noi 2 nights and It was magical experience in my life. Still I think the rate is so high, but if you have the special occasion in lifetime such as marriage, retirement, I would say it worths. Staffs were kind and easygoing and willing to help in anyways, The condition of room and facillitied were brillant. And also restaurants are really gorgeous in taste and atmosphere. Also, they have good programs such as Yoga, and free rent bike. I couldn't participate in Yoga class because it was so early, but it seems good. We rented bicyle by free, and traveled arount the ireland. The ireland was not big at all and the locals were totally kind and safe. It was one of greatest time in my life, and we promised to go again when we have specail occasion in lifetime. This was one of the most amazing resorts I have ever stayed in. The sustainability and eco-friendly attitude of the resort was second to none, as was the service, accommodation and views. 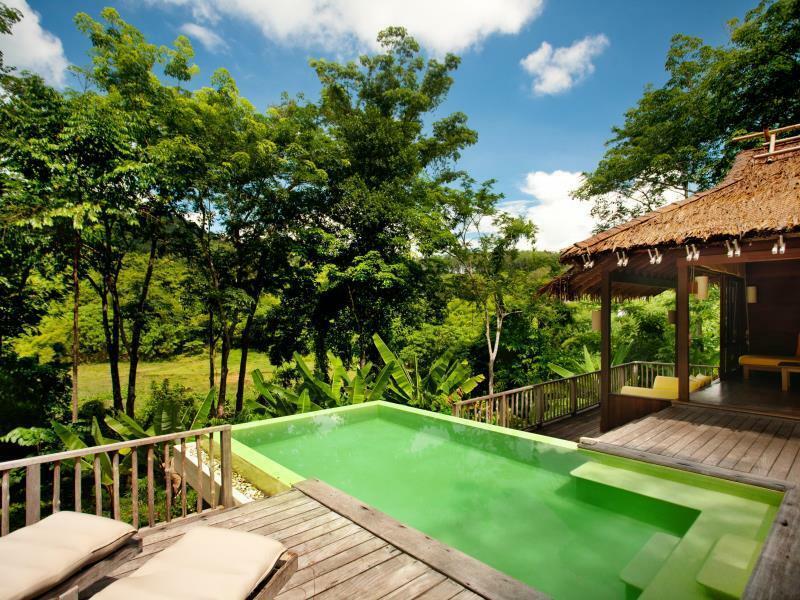 I would recommend Six Senses Yao Noi to anyone and everyone and would stay again with our hesitation. The food quality varies from restaurant to restaurant with some not being at such a high standard (notably the Den) but otherwise it was close to paradise. 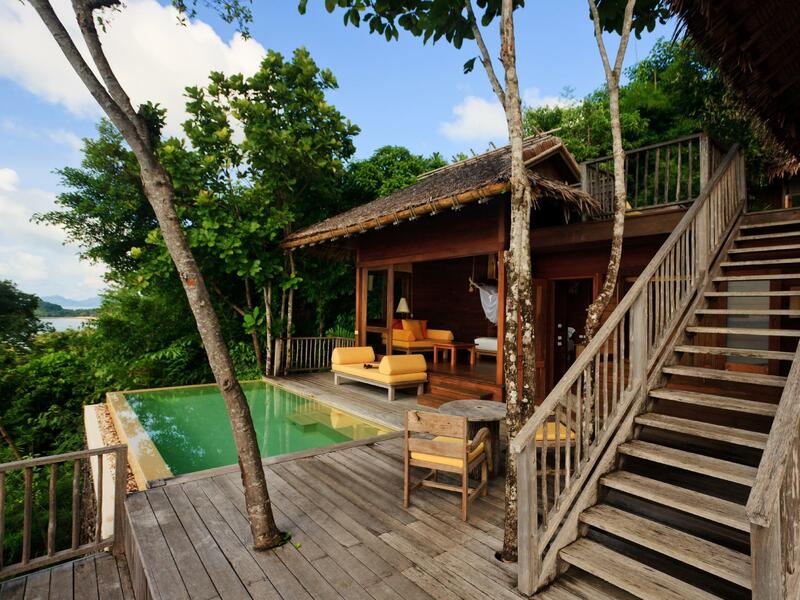 My husband and I could not have been happier with our decision to stay at Six Senses Yao Noi. From the moment we were picked up at the Phuket Airport and whisked to Yao Noi, the service was flawless. The villas are beautiful and our G.E.M., Alice, helped us plan all our activities. She went above and beyond to make our honeymoon magical. The restaurants at the resort are delicious and the pool area is incredibly beautiful. I have never been sadder to leave a resort and can't wait to return to Six Senses, either here or elsewhere. 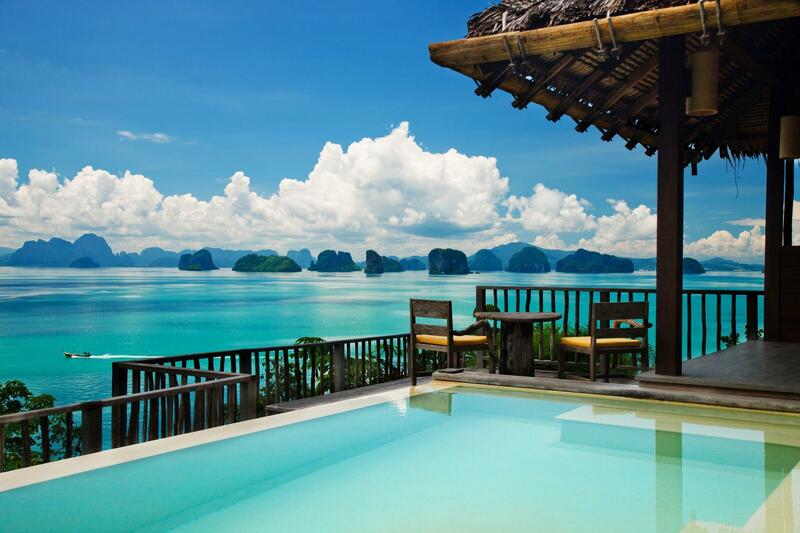 Exceptional is an understatement for the beautiful paradise that is Six Senses Yao Noi. Right up from our pick up at the airport till farewell our holiday couldnt have been more fluid and enjoyable. We planned on travelling to all the other Six Senses Resprts around the world before coming back to Yao Noi but because of our GEM Tabtim and the lovely Yao Noi family we will definitely be back sooner. Rooms are tired and we never felt entirely comfortable that the creatures outside weren't actually inside the room. Not what you'd hope for from 5 star luxury. Time spent in villa depends entirely on luck of position regarding the sun, so we spent very little. Food was great, but then as the only resort on the island it really has to be. we had really fantastic time stay in Six sense. Room was excellent with good stereo system. Staff provide fantastic service with kindness, there are many nice corner in the resort with excellent view to see the surround Islands ,view on the Hilltop is one of the best view ever, worth spending a noon time for sunbath with a little snack. Restaurant was awesome, especially the chef Table night with Chef Anthony, that was one of the best memorable dinner we had in decade. Everything is really lovely and relaxed.